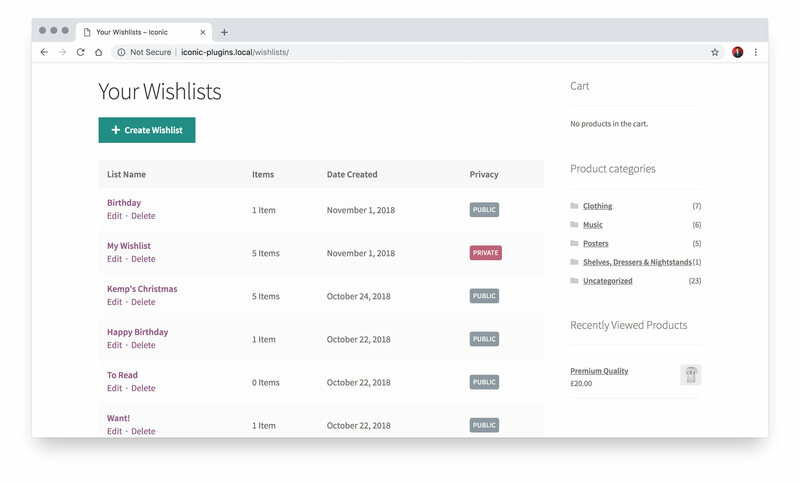 Once you've installed Wishlists for WooCommerce by Iconic, the first thing you'll want to do is create a page for your customers to view their wishlists. 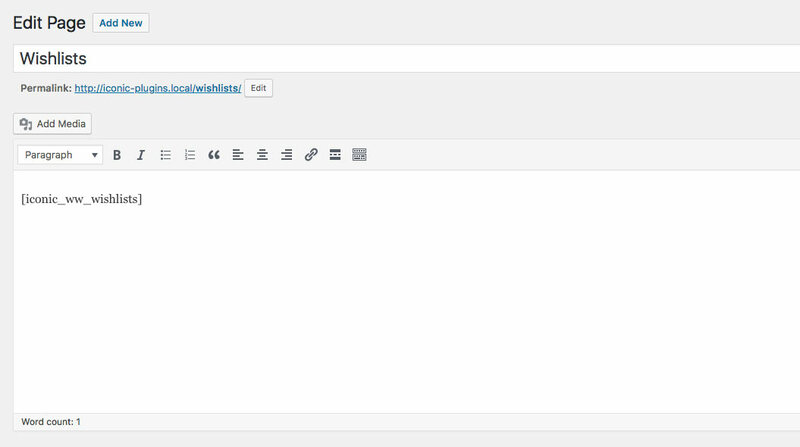 In the WordPress admin area, navigate to Pages > Add New. Enter a title for the page, e.g. "Wishlists". In the editor, enter the wishlists shortcode: [iconic_ww_wishlists]. Click Publish to create the page. Now the page has been created, navigate to Wishlists > Settings. 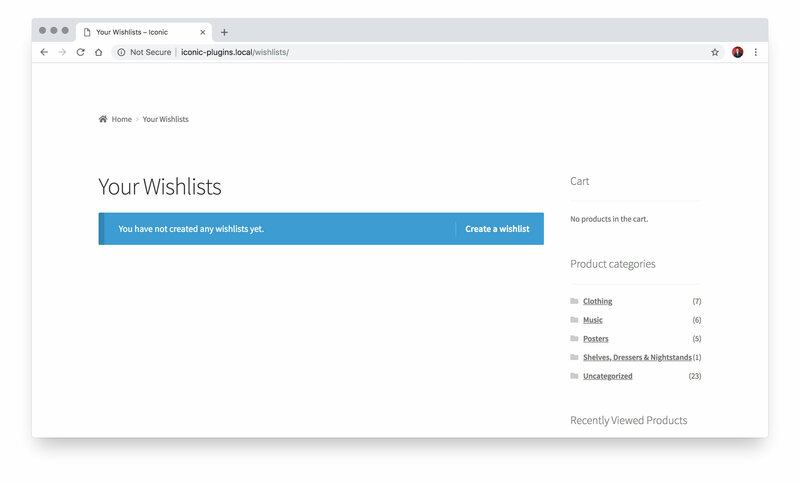 Select the page you just created from the Wishlist Page dropdown.